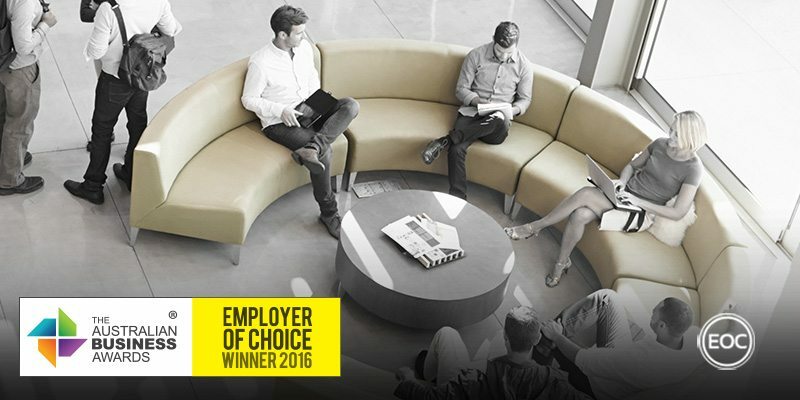 ACE Contractors Group has been recognised as an Employer of Choice in The Australian Business Awards 2016. Established in 1971, ACE Contractors Group is a collection of companies providing a diverse portfolio of services, including civil, infrastructure, landscaping, electrical and water services. As the employers of 140 staff, ACE have a goal of providing quality services to clients whilst maintaining the satisfaction and well-being of their employees. ACE aim to celebrate the diversity of their workforce, which is made up for 32 different nationalities. This is done through fortnightly morning teas for all office based employees. In this forum, one employee each fortnight is given the opportunity to discuss their background, cultural heritage and food. This tradition is aimed at building internal community, communication and is also used as a way to simply have some fun in the workplace. ACE focus on the positive side of business practice by utilising their ‘What Went Well’ program, which is part of a ‘no blame’ cultural approach designed to maintain a positive mindset and direct focus to successful aspects of particular plans. These practices are also employed by leaders, who focus on open communications with employees that maximise engagement by making an effort to get to know employees professionally and personally. Alternative work patterns are available to ACE employees, including opportunities to work from home. This emphasis is designed to help employees maintain work-life balance and exists in conjunction to ACE’s commitment to professional development for their workers. Professional training is integrated into an employees work lifecycle at ACE, who are aware that providing employees with training opportunities provides a potentially powerful intrinsic motivator. Training is emphasised from employee induction and includes vocational training and annual compliance training, which encompasses bullying, harassment and social media. ACE also recognise the performance of their employees through a monthly initiative that involves managers nominating stand out employees to an executive team, who then recognize workers with an award and movie tickets. In addition to recognizing the success of their employees, ACE also provide support to workers who may be undergoing financial stress via an employee emergency fund, which is funded by employees donating annual leave hours to the emergency fund committee.